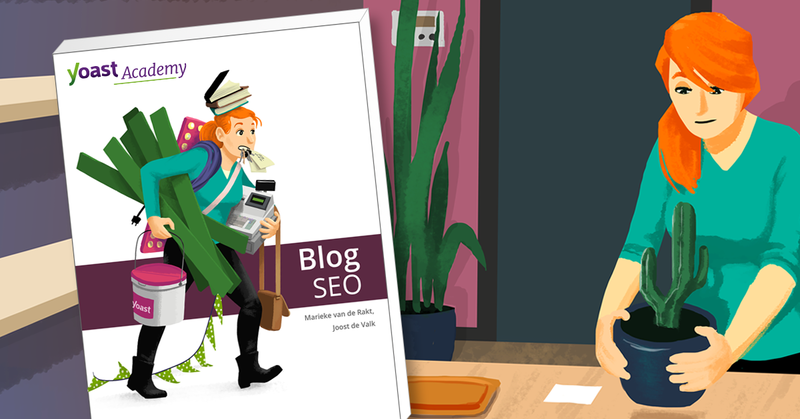 As of today you will be able to buy our latest eBook: Blog SEO. Blog SEO is our most extensive eBook (containing 225 pages) in which we cover all SEO aspects needed for everyone owning or maintaining a blog. The blog SEO eBook is now priced at an introductory price of $19 (and will normally be priced at $25). 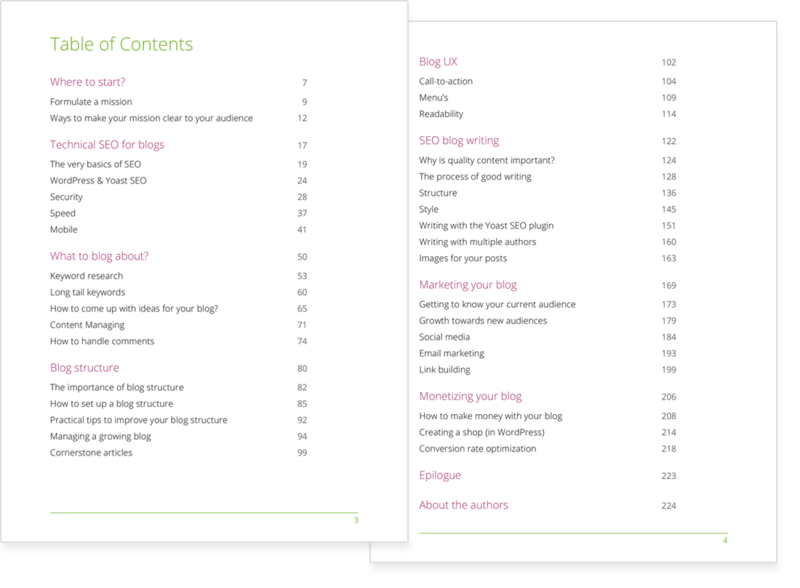 Our eBook can be read from cover to cover, giving you everything you need to know and do to make your blog rank well in search engines. We will also cover User Experience, great writing, coming up with ideas and marketing and monetizing your blog. Our eBook is a must have for people who just started out blogging, but also a great reference work for those who already know their way around the major SEO topics. Blog SEO contains lots of practical tips and includes many examples. 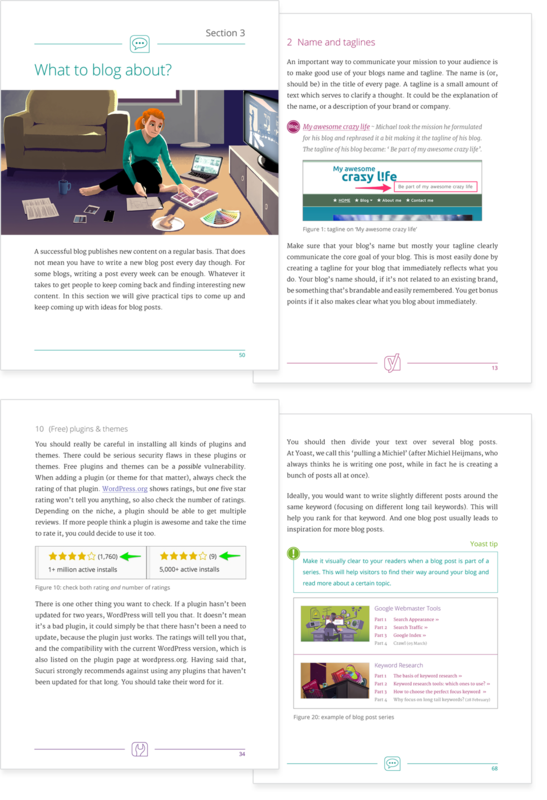 These tips and examples will make this eBook our most practical one yet. We will really help you to put the theory to practice and to start optimizing your blog right a way. As we present this new eBook, we’ll say goodbye to our first eBook ‘Optimize your WordPress site’ (which came out about a year and a half ago). This eBook needs some updating, but also contains too much duplicate content to keep selling it alongside of blog SEO. For people who bought ‘Optimize your (WordPress)-site’ in the last three months, we will provide a 100% discount on Blog SEO. People who purchased Optimize your WordPress site more than 3 months ago, will receive an extra discount code. Interested in content marketing? In our content marketing newsletter we share all our latest insights with you!